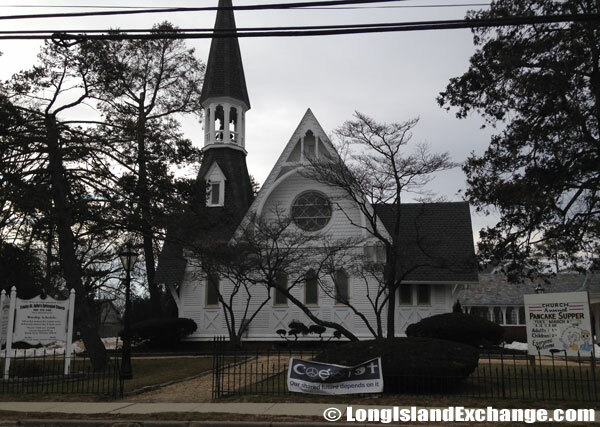 Hewlett is a hamlet (census-designated place) located in Nassau County, on the South Shore of Long Island, New York. As of 2010 census, there were 6,819 people, 2,547 households, and 1,833 families residing in the CDP. The median income for a household in the CDP was $89,643, and the median income for a family was $89,643. The latitude of Hewlett is 40.643N. The longitude is -73.696W. It is in the Eastern Standard time zone. Elevation is 20 feet. It is essentially a residential suburb, one of the ‘Five Towns’ which includes Woodmere, Lawrence, Cedarhurst and Inwood. 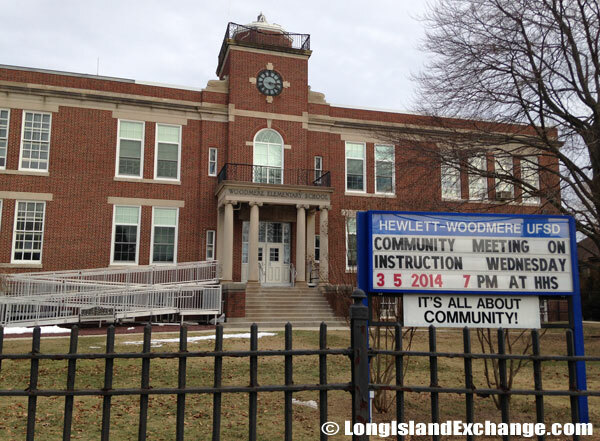 The Hewlett-Woodmere Public School District, Union Free School District 14, is located in the southwest section of Nassau County, New York and borders the New York City borough of Queens. Trinity-St. John’s Church, 1142 Broadway Hewlett, NY. 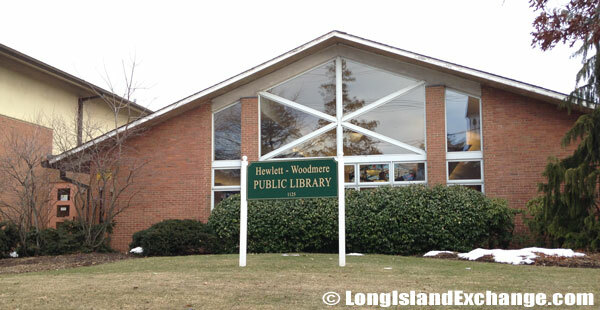 The Hewlett-Woodmere Public Library was established in 1947. The first library building was completed in 1955 and it was expanded in 1966, then renovated and expanded in 1996. The community was named for Samuel M. Hewlett. The former merge names include Cedar Grove and Fenhurst. Majority of ancestry groups living in Hewlett were Italians for about 22%, followed by 11% of Irish, and 9% of Russian respectively. Hewlett doesn’t have a large share of its people below the poverty line. In fact, the per capita income for the CDP was $38,803, 2.9% of the population and only 1.3% of families were below the poverty line. The Center for Adult Life Enrichment. Carriage House at Hewlett High School. 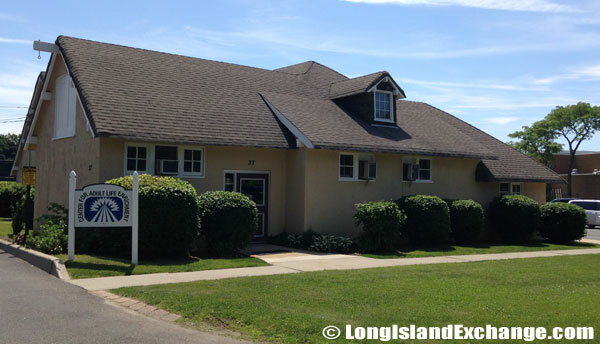 37 East Rockaway Road Hewlett, NY 11557. More adults in the town have earned college degrees than in most other towns in New York. About 62% of people living here are married. It is one of those places seems that everyone in town is married based on the statistics. In Hewlett, around 75% of their people will commute to work by using public vehicles as their way of transportation. 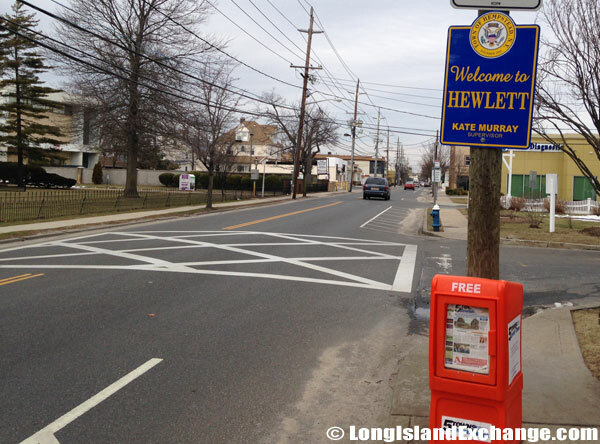 A sign welcomes visitors and residents to Hewlett, a hamlet (census-designated place) located in Nassau County. Garden Town House Apartments for Rent. The Five Towns Jewish Times is a weekly newspaper serving the Jewish communities of the Five Towns in southwestern Nassau County, New York. 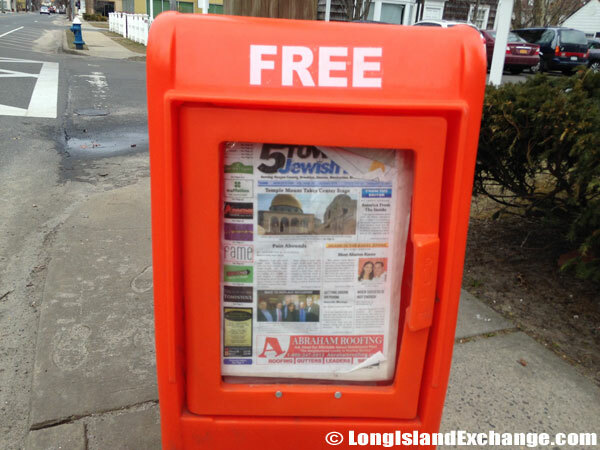 The paper is distributed for free on Long Island and sold for $1.00 in New York City. The town has an estimation of 78% of living spaces are occupied by their owners and not by renters. There are multiple houses which can be found anywhere and nearly no land left to develop. The housing isn’t the newest but the average home age is greater than elsewhere. 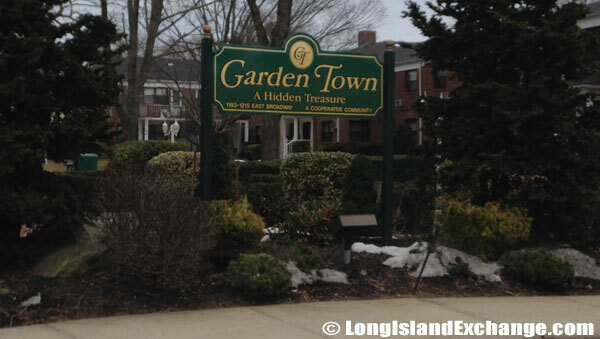 They try to see the higher property taxes in Hewlett as a sign of wealth and attractiveness. Condos and apartments can also be found and usually ranges from $900,000 to $4 million. 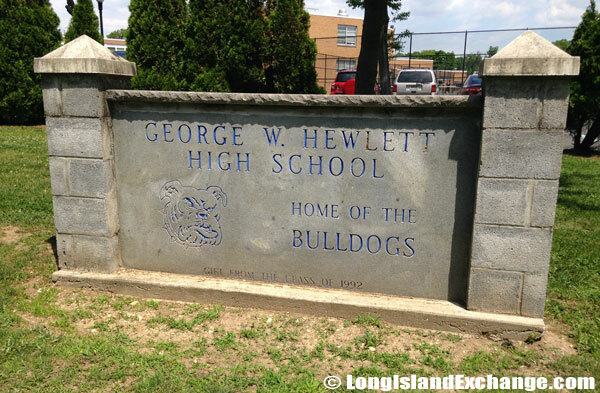 George W. Hewlett High School is a part of the Five Towns area of the South Shore of Long Island. The sports nickname and mascot is the Bulldogs. 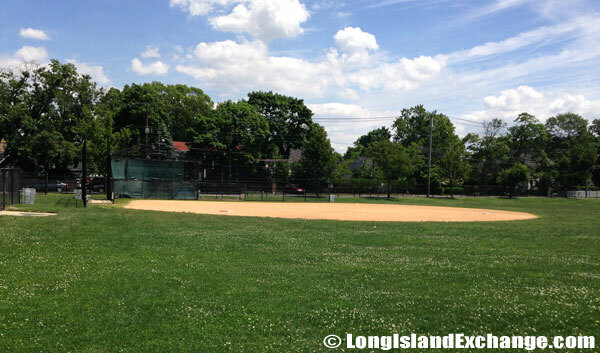 The Hewlett Bulldogs baseball field at George W. Hewlett High School. 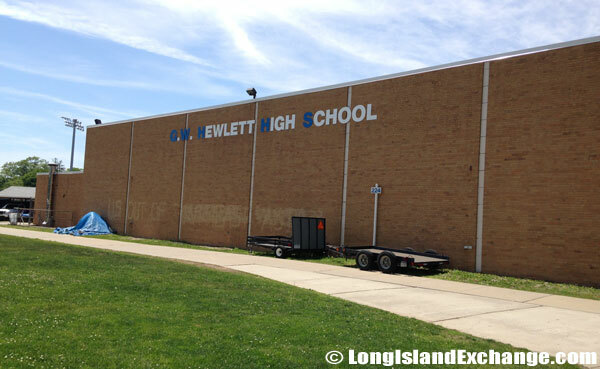 George W. Hewlett High School is a part of the Five Towns area of the South Shore of Long Island. The school is the only high school in the Hewlett-Woodmere School District. Quality education offer many schools in Hewlett. Although it shared schools and library, most public school students in Hewlett still go to the Hewlett–Woodmere School District (District 14), and some attend the schools of the Lynbrook Union Free School District. There are also many shops, restaurants, and great parks that include a 35-acre Grant Park. It’s a perfect place for recreational activities and opportunities.